Preview image of output from my latest dress up character creation tool. I have drawn up a number of formal dresses that can be recolored or customized with extra decorations. I have also spent some time putting in some options to change the background. 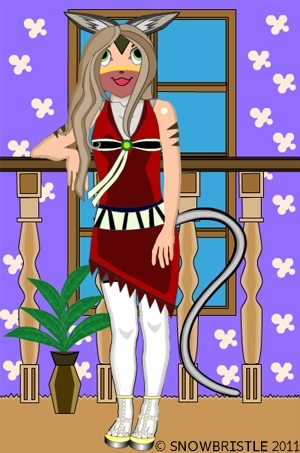 Here is a preview image of my progress in creating my latest hybrid anthro dress up character maker application. 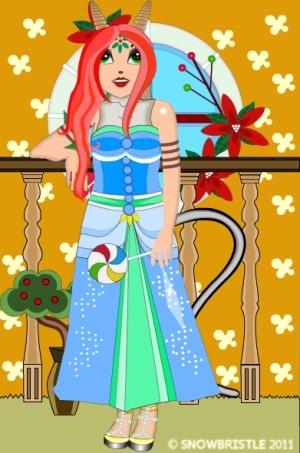 Almost every thing in this anthro dress up can be colored including the background. 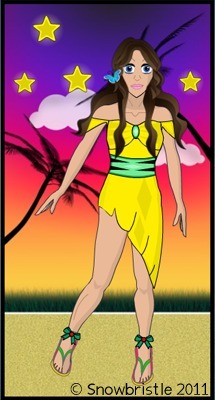 This dress up will be highly customizable you will be able to choose from a great many nose and facial detail options. Most of this design application is using vector art so the fize size will remain compact. Look forward to future updates. I have been drawing various dress styles and shoe designs. Here is a preview image of a yellow dress and some shoes I drew. I like the anime style of look the image has. 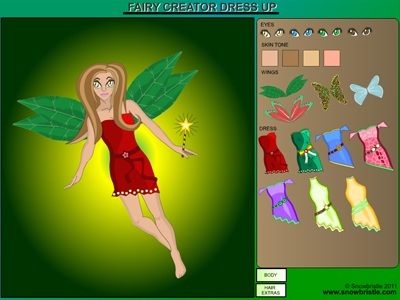 I have been trying to keep the file size of this dress up game with design tools as compact as possible. Look forward to future updates.